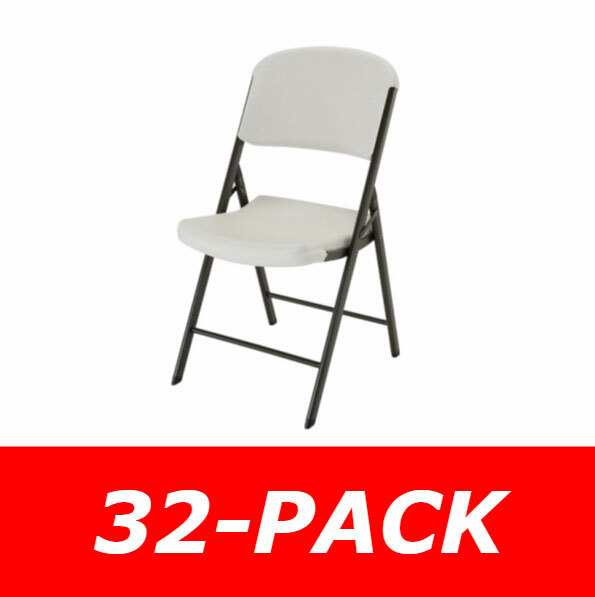 Replaced Lifetime 2967 Lifetime tables. 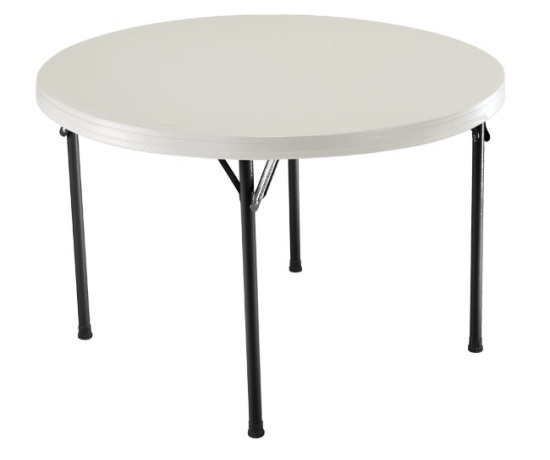 Lifetime round tables are made with a polyethylene plastic top and a steel frame. 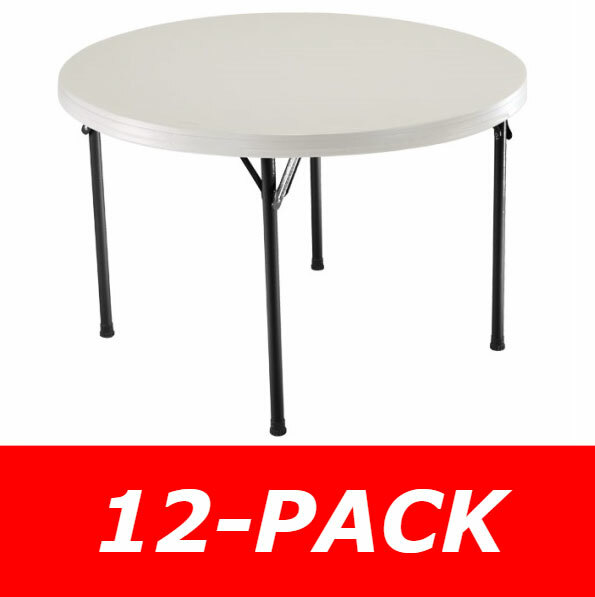 The 2968 round folding table provides an excellent banquet table for churches, schools, and cities. Each 46 in. diameter table can typically seat 6 adults comfortably. 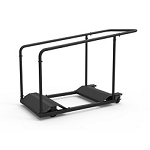 This product includes shipping in the price when shipped to the continental 48 United States. 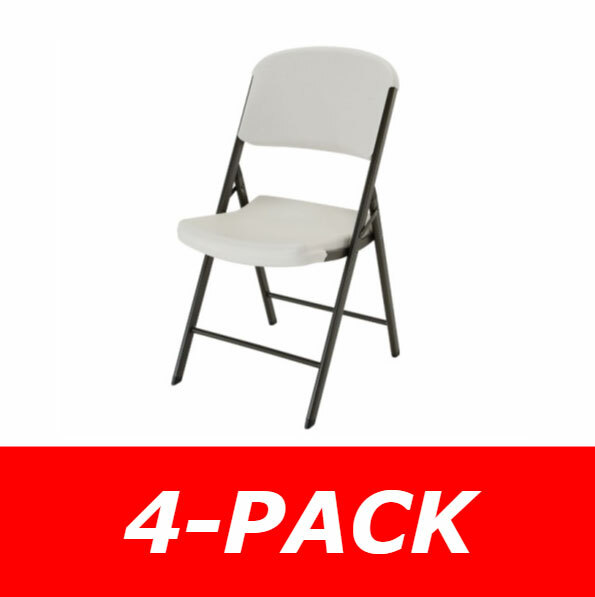 Ideal for Banquets, Home, Office, Crafts, Outdoor Activities and More! 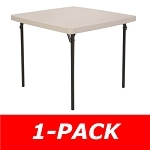 Lifetime 2968 Round Folding Tables generally ship via an LTL freight carrier such as Roadway or ABF.? 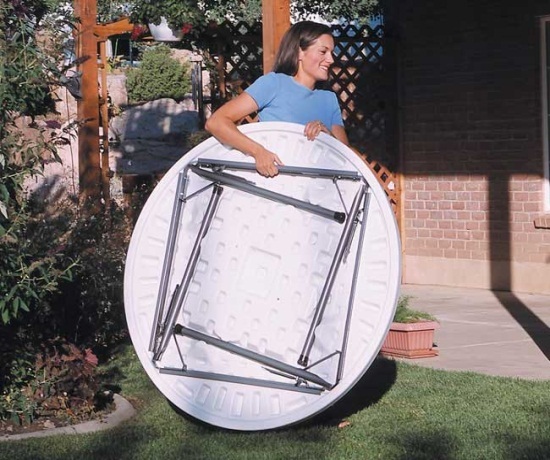 The pallet of 2968 46" Round Tables weighs around 462 pounds. 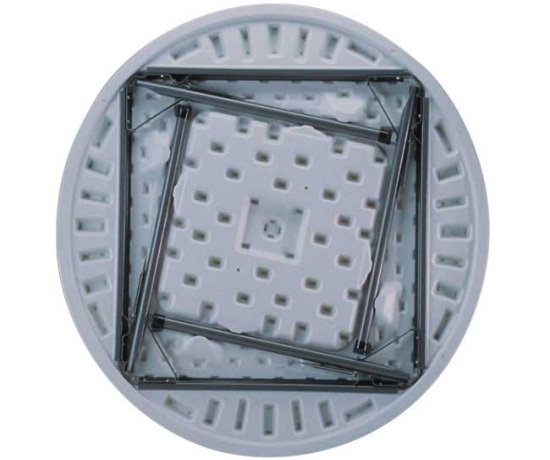 What is the difference between the 2960 and 2968 Lifetime Round Tables? The only difference between these models is the 2960 is white granite in coloration and the 2968 is almond. "I love the tables - we shall probably order more next year." Fantastic Product, Quick Shipping, Very Pleased, Thank You! I love the table. Thank you. 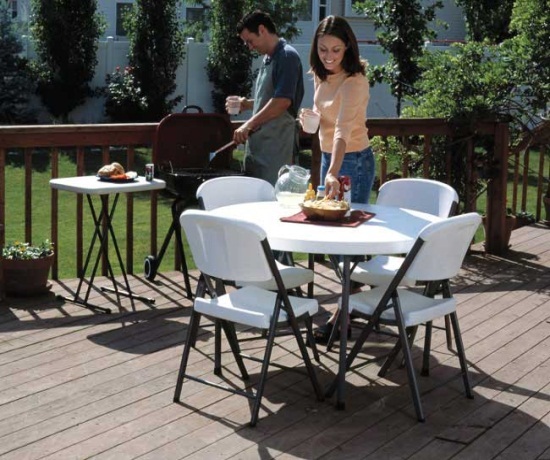 These tables are heavy duty and very nice and pretty! Very nice high quality tables ... thanks! Item received quickly, exactly as described, better than the rentals, Thanks !!! Wonderful tables. Very well packed. Delivery guy very nice too. Great Seller!!! Q: What is the height of this table? A: The height is approximately 29.5 inches.